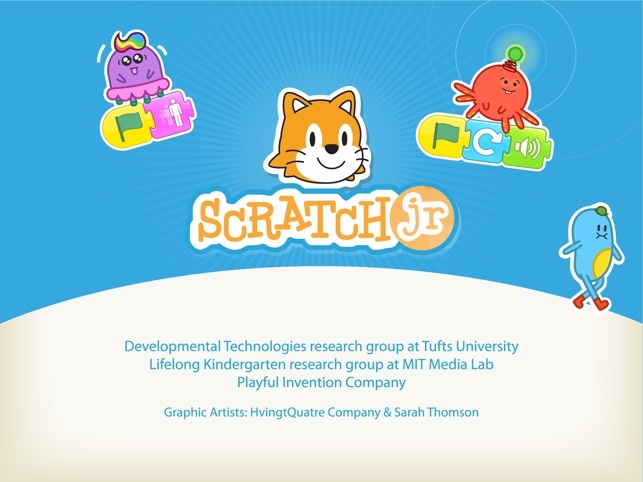 ScratchJr is a collaboration between the Lifelong Kindergarten research group at the MIT Media Lab, the Developmental Technologies research group at Tufts University, and the Playful Invention Company. 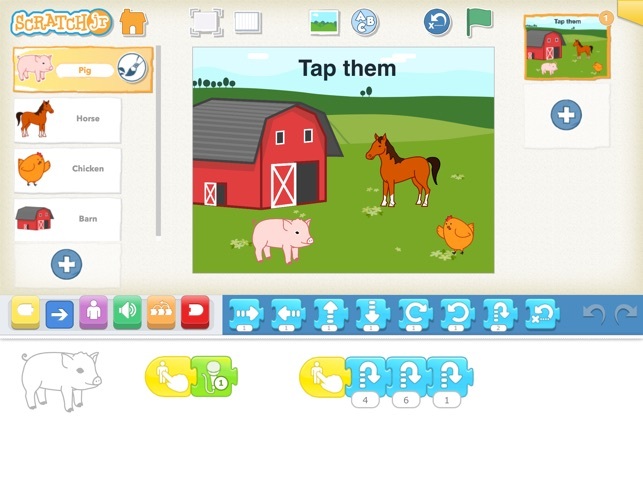 The ScratchJr project has received generous financial support from the National Science Foundation (NSF DRL-1118664), Scratch Foundation, LEGO Foundation, and British Telecommunications. 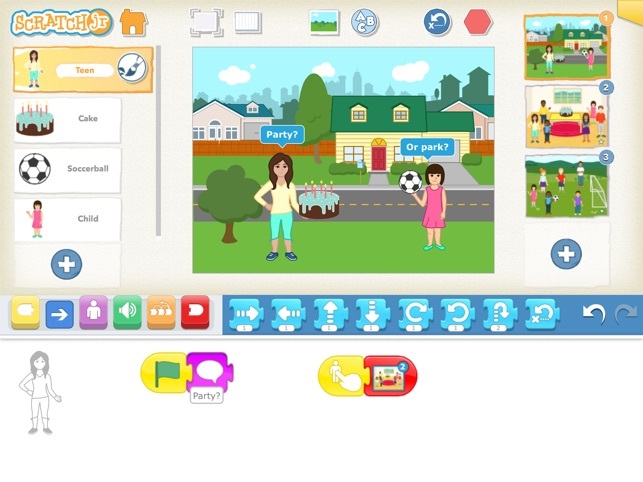 I’m a 12 year old who used to use this app I think it’s great and is a great begging coding app. It has all the basics, but I wish there was more freedom. Example: import images; variables; backpack. 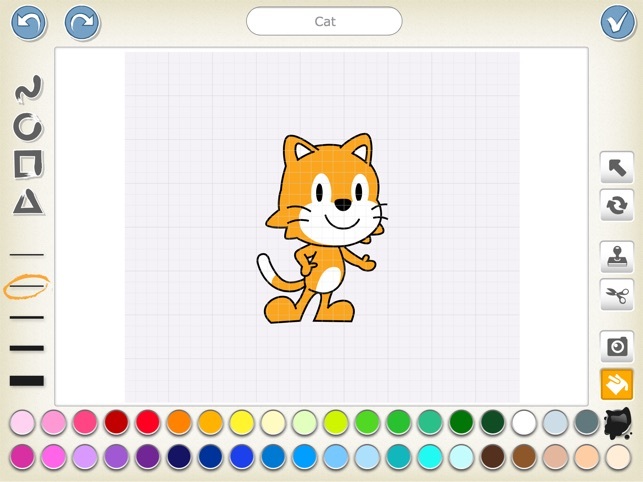 These are things that make scratch great. 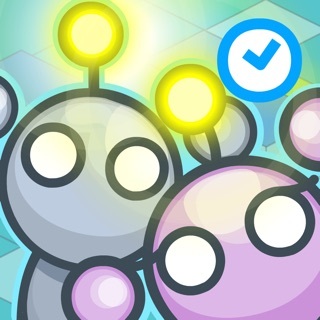 Also I would really appreciate it if mit considered putting mit scratch on iOS/ mobile devices. And consider adding in a feature to enable users to export or save their project to continue on another device or save as a file if you end up deleting the app. 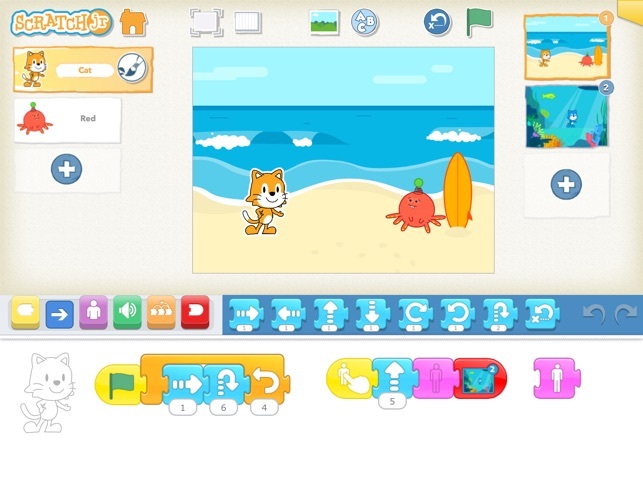 One final wish(for mit scratch and scratch junior)AUTO SAVE. I remember countless times of lost progress. I’m working on a puzzle game right now called Pico’s Adventure, and I lost progress of 3 levels of which I spent about 10 mins each on. NEED MORE ITEMS AND BACKGROUNDS AND ANIMALS! !